Glass hair, like glass skin, is in (more on the latter in another post). Smooth, sleek, and shiny, a la glass, is what we’re trying to achieve with our 2018 fall hair game. 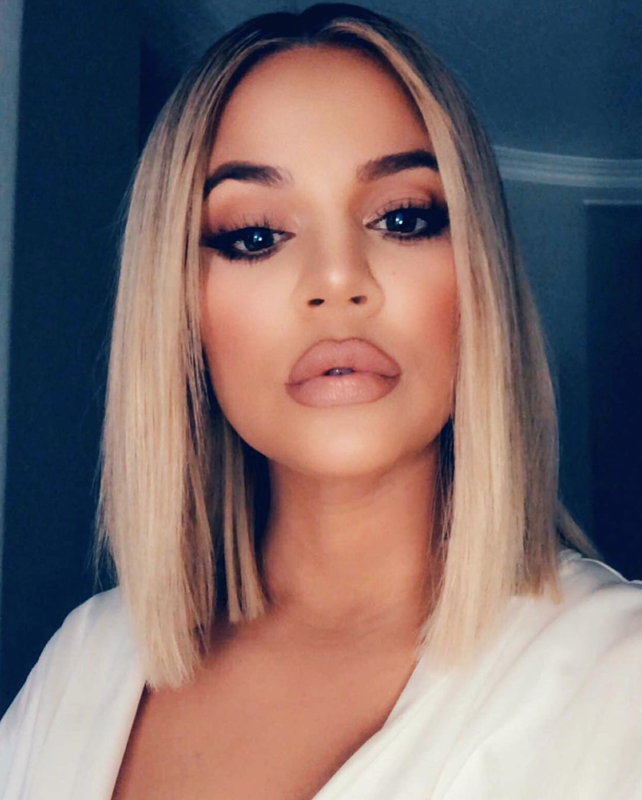 Think Kim Kardashian’s flawless bob, but you can get the look on longer hair, too. 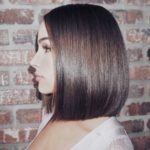 We turned to TRESemmé Global Stylist and celebrity hairstylist, Justine Marjan, who is responsible for the glass finish seen on both Khloe Kardashian and Olivia Culpo above, to give us the details on fall’s sleekest style. Start by washing hair with a great smoothing shampoo and conditioner to create the foundation for your style. I recommend the TRESemmé Keratin Smooth Shampoo and Conditioner or Deep Smoothing Mask for the best results. Gently squeeze out moisture with an Aquis hair towel as opposed to a regular cotton towel, as microfiber is gentler on the hair and is less likely to rough up the cuticle, which leads to frizz and breakage. On damp hair, apply TRESemmé Repair & Protect 7 Pre-Styling Spray and TRESemmé Keratin Smooth Shine Serum. Then blow-dry with the GHD Air Hairdryer and a boar bristle brush, finishing each section with the cool shot on the dryer to seal in the look. Once hair is dry, take thin, horizontal sections and flat iron slowly, from roots to ends, gwith the GHD Platinum+ Styler. Follow the iron with a smoothing brush. Set the hair with minimal volume with Kitsch No Crease Clips so the hair is symmetrical around the hairline. Once the entire head has been smoothed, run a small amount of TRESemmé Keratin Smooth Shine Serum throughout, then spray a toothbrush with TRESemmé Compressed Micro-Mist Hair Spray Hold Level 2: Smooth, and brush away any frizz or flyaways. Easy as a blowout. Will you be turning your strands straight and sleek this fall?